The route and pics look fantastic! Some of us are planning a similar route to ride this weekend. Can you please elaborate on where you had lunch and your start and return times? I am assuming this was a one day ride. Sure. Should have done that during the earlier post itself, but was too lazy. Please note that we didn't have a particular itenary in mind, except to cover some good roads and get back home before evening. So the below plan may not sound, well, planned. 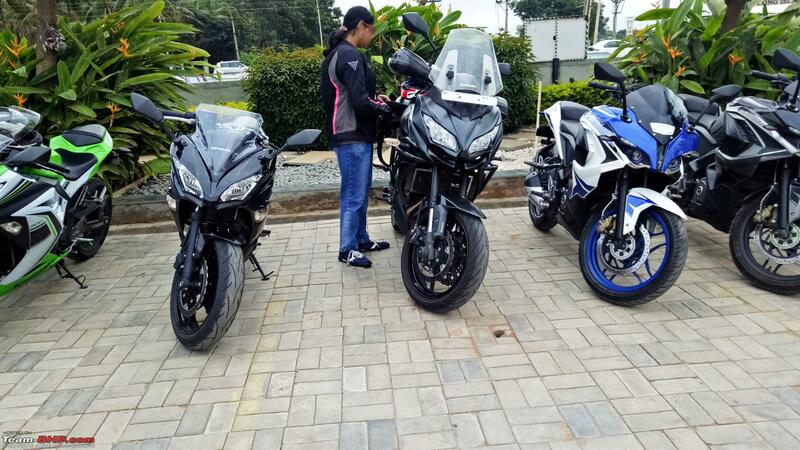 We started from Bangalore (Hebbal) by 5AM. First stop planned was Preeti Canteen, Birur and if i remember correctly - we reached there by around 8:15AM. Started by around 9AM post breakfast. Saw Bhadra Dam on the way, and stopped to click for a few photographs. Time was ~9:30 AM. Started from there around 10AM. 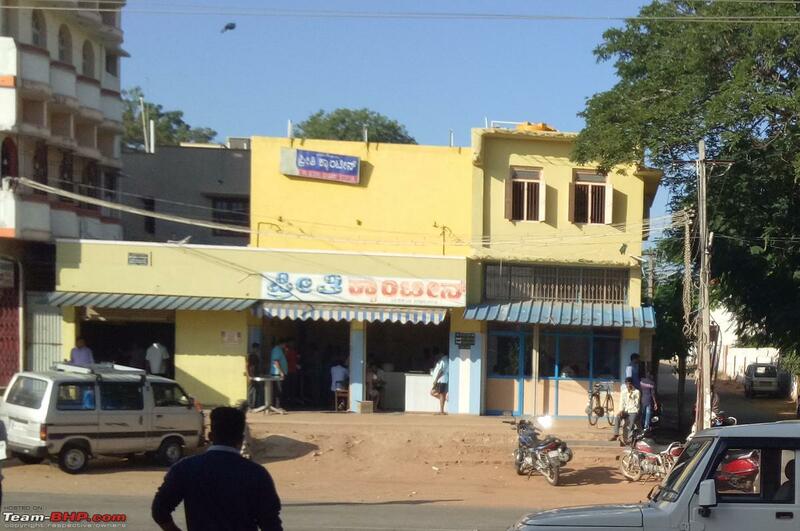 Destination was Koppalli. Since both the bikes were not having a mobile phone mount, or map device mounted - we ended up taking the longer route via Koppa. Reached Kavyasala by around 11:30 AM. After taking some pics, we started from there around 12PM. 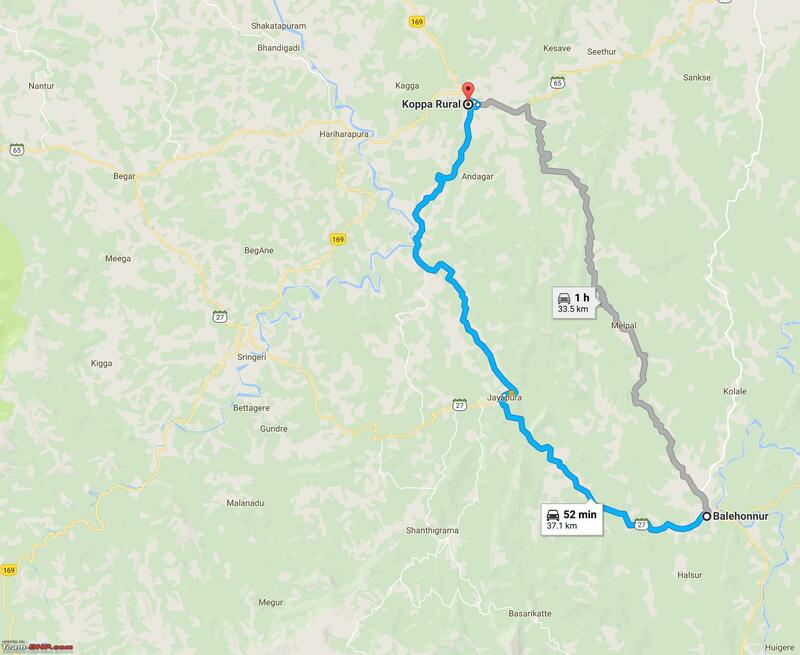 Once back at Koppa, we decided not to take the same route for the return journey. Google map was suggesting a return route via Chikmagalur and hence decided to try it. 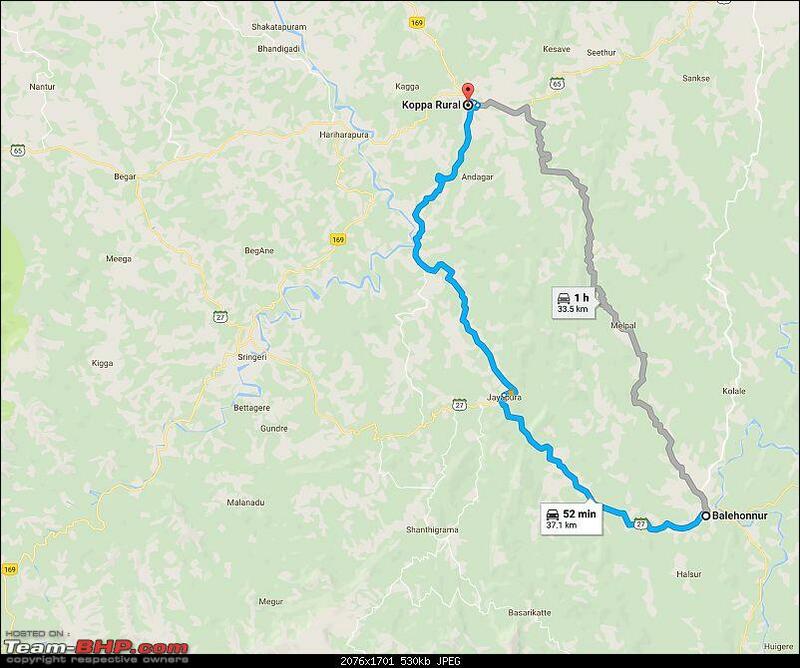 However, few of the locals suggested otherwise - and as per them - the best way to go from Koppa to Balehonnur was via Sringeri. Decided to trust google maps and try out the direct shortcut suggested by it from Koppa to Balehonnur. 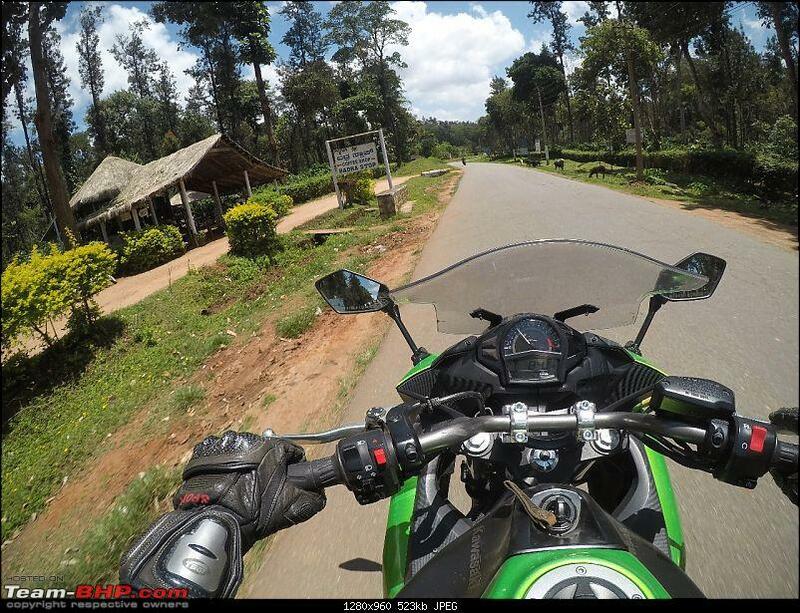 This is where we struck gold with beautiful tea estates all around and nice and empty roads. 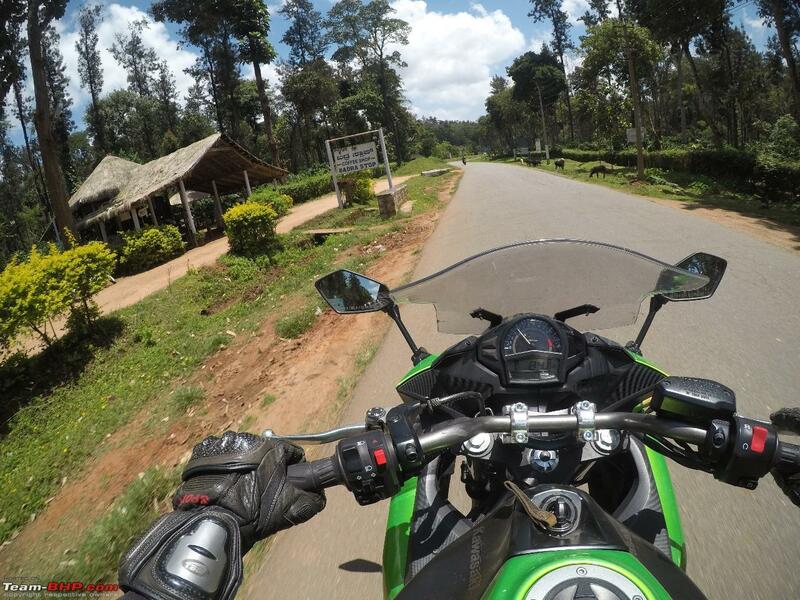 Progress was slow from Balehonnur to Chikmagalur because the heat was taking a toll on my body, and I was struggling to ride the corners with full concentration. 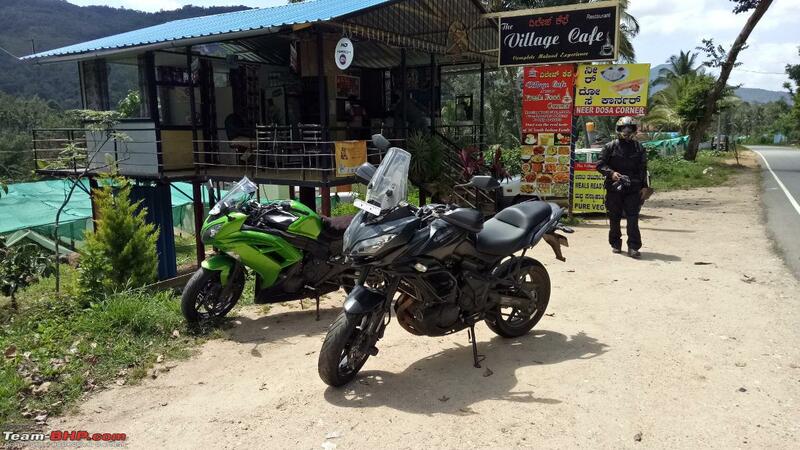 Lunch was unplanned because I really needed a break and we stopped at this small place, 23 kms ahead Chikmagalur town and just before the ghats starts climbing to Chikmagalur. Average place with nothing to fault really. Good for small refreshments and not lunch. 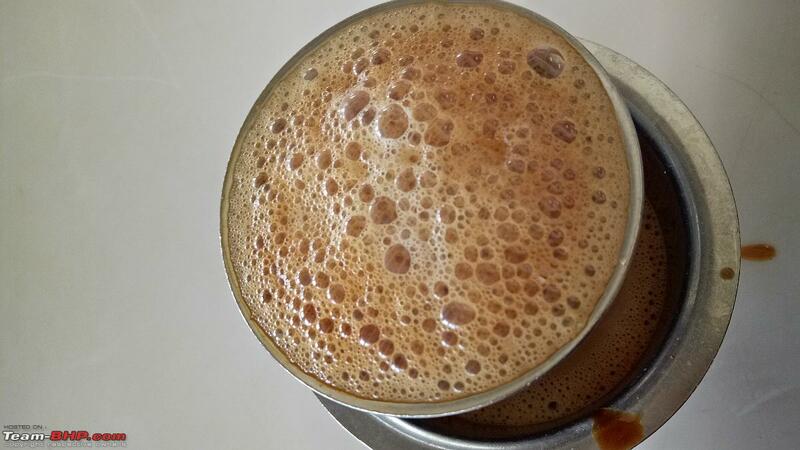 Alternatively if you want a better place to stop, you can try Bhadra Coffee Shop at Balehonnur. We didn't stop there, but looked pretty decent. 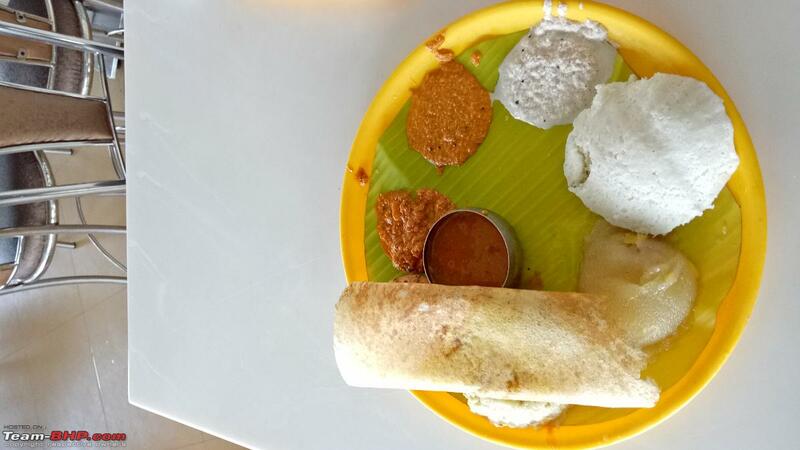 Post lunch, headed to Chikmagalur. Took another break at the CCD there. ~2PM. 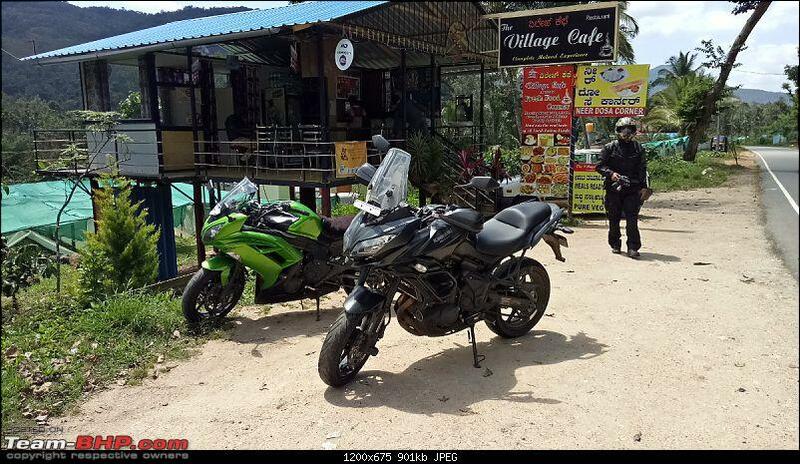 Chikmagalur to Bangalore and pretty eventless to describe with only one coffee break in between. I was back home near Yelahanka by around 6:15 PM. Last edited by CrAzY dRiVeR : 27th September 2017 at 14:08. Another weekend, another ride to remember - this time a solo. Had some office work to attend at 6:30 AM, which got over within 15 mins. Started by 7:15AM and was able to get out of Karnataka by 8AM. Always wanted to try this shot! 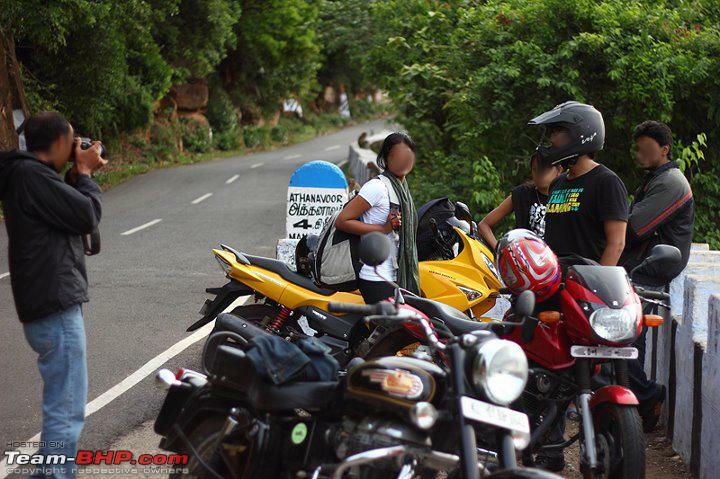 Decided to head south because everytime I ride with the company of Bangaloreans - we end up heading north! 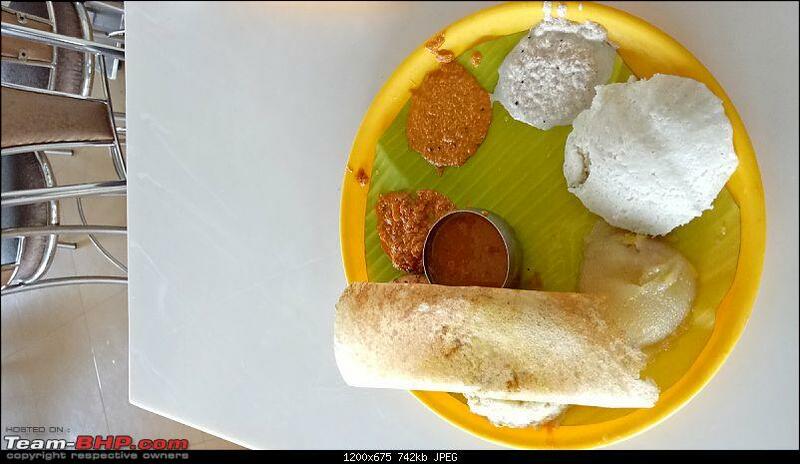 Places like Chikmagalur, Sakleshpur, Davangere etc. So, this time - being an unplanned solo ride - I decided to ride down south. 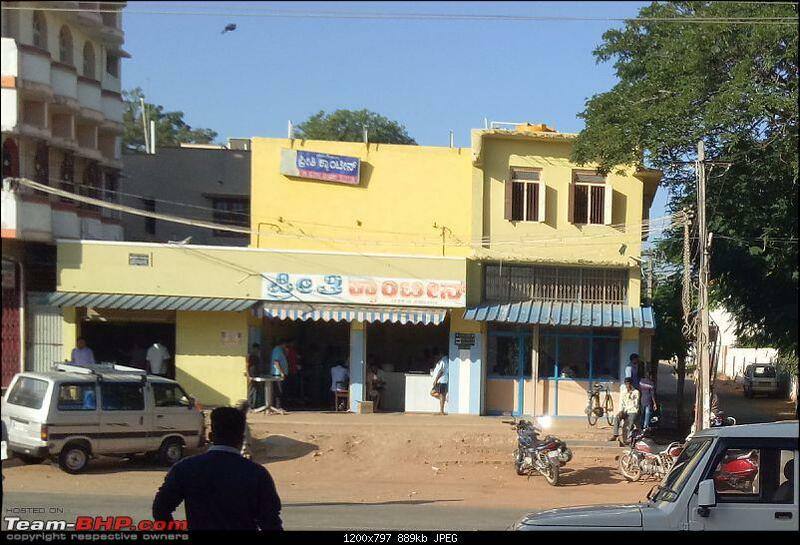 Breakfast stop was the A2B adjacent to BPCL COCO bunk near Shoolagiri. 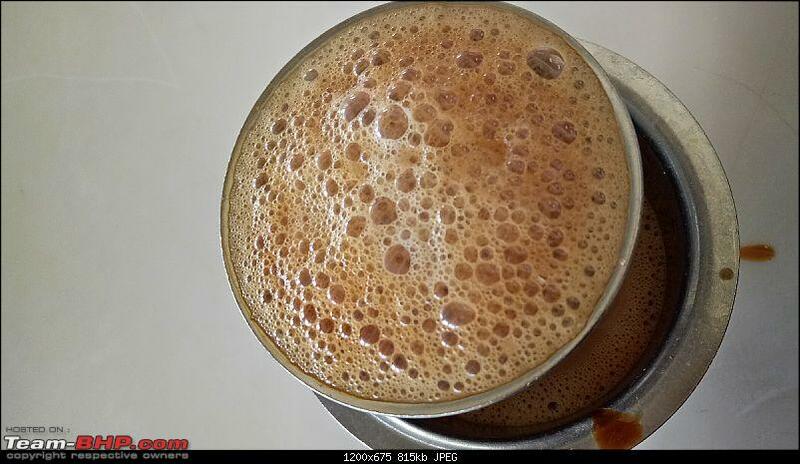 A good cup of coffee to kickstart the brains. Till then I was confused whether to head to Yelagiri or Hogenekkal. 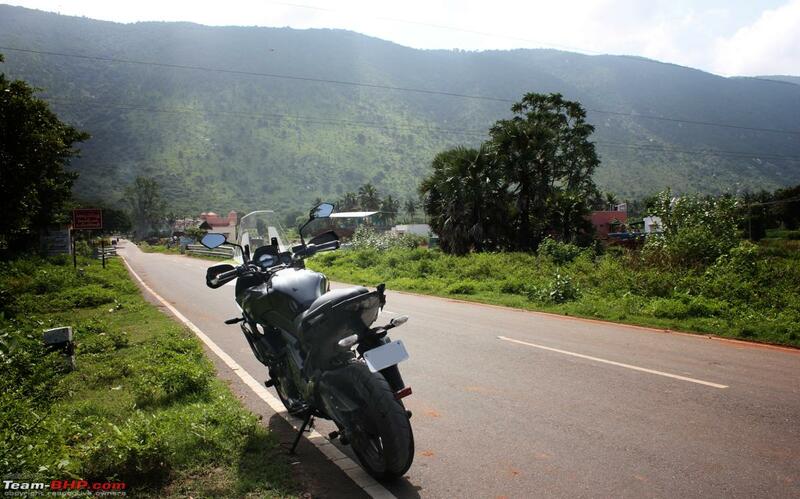 Decided to make a quick dash to Yelagiri - a place close to my heart. That's Yelagiri hills in all its glory. It basically looks like just a big rock in the middle of the plains - but the temperatures really do drop once you climb up the hairpins. And speaking of hairpin bends - there are 14 of them! I clicked the below pics with friends. 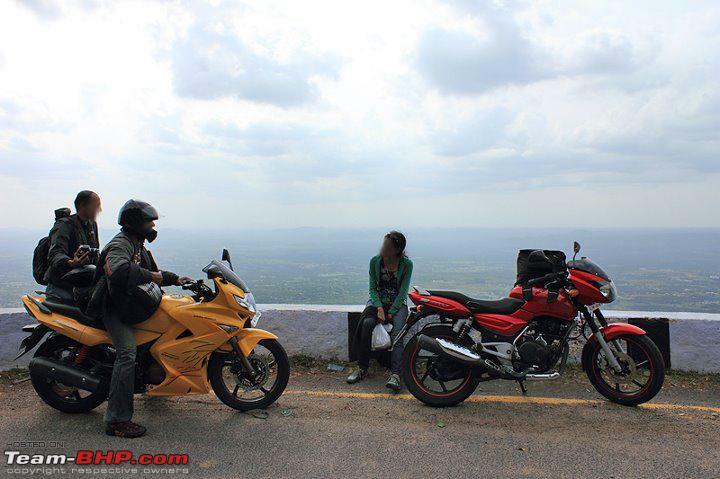 Yelagiri was one of the best rides I had with the Pulsar, and we rode down from Chennai back in 2011. It was a good feeling to be back, and trying to get similar shots. Just that life had moved on! Bigger bike, but less friends. Anyways! [center]Another weekend, another ride to remember - this time a solo. Had some office work to attend at 6:30 AM, which got over within 15 mins. Started by 7:15AM and was able to get out of Karnataka by 8AM. Nice pics Crazy Driver! How are the roads on those 14 hairpin bends? Roads are good, but watch out for the occasional sand and cowding patches on the road. The main concern is the width of the roads though. Those were tight turns, especially if you are taking the inner one. Was testing my confidence level with the Versys. Loads to go before I get the confidence right! Sunday morning with the Honda Africa Twin! Will post my first impressions of the test ride in detail soon! 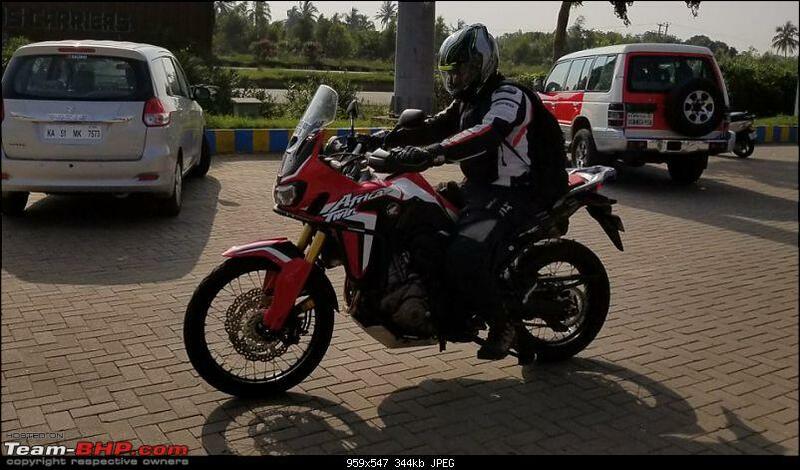 Re: Sunday morning with the Honda Africa Twin! [b]Will post my first impressions of the test ride in detail soon! What I haven't mentioned there is my opinion about whether the Africa Twin is a good upgrade from the Versys 650? A similar question would be whether it is worth the extra money spent over and above the Versys 650? For both these questions - I guess the answer is that it all depends on the amount of offroading one is looking at doing on a regular basis. The main advantage of the Africa Twin over the Versys 650 is that 21inch front with narrower tires and lot more suspension travel which should make it much better off-road. 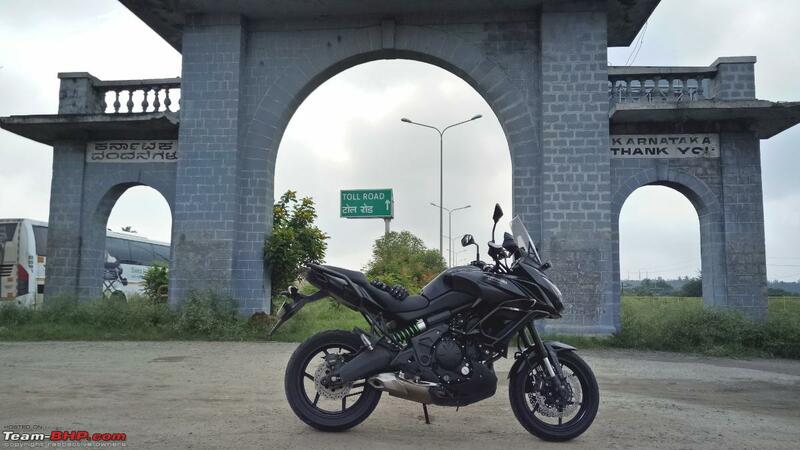 DCT gearbox and all that additional torque should make it better in the city and while offroading, and it feels a lot lighter than the Versys to ride as well, even though specs show otherwise. 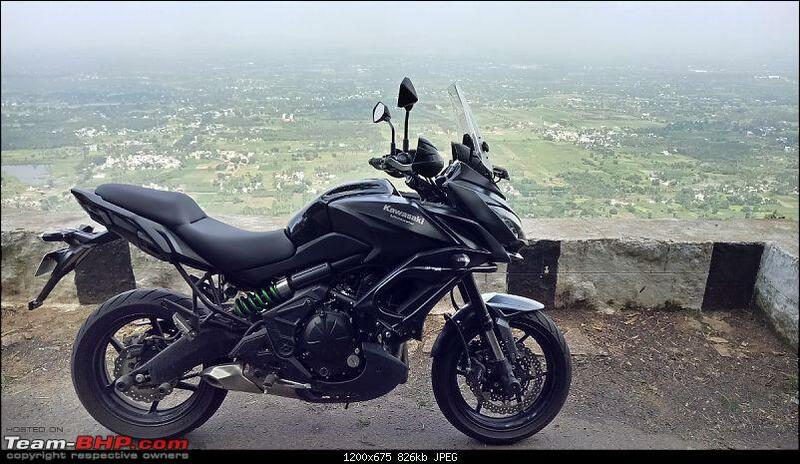 But for those who are looking at a lot of highway touring - Versys 650 should present a good case for itself considering the price difference. 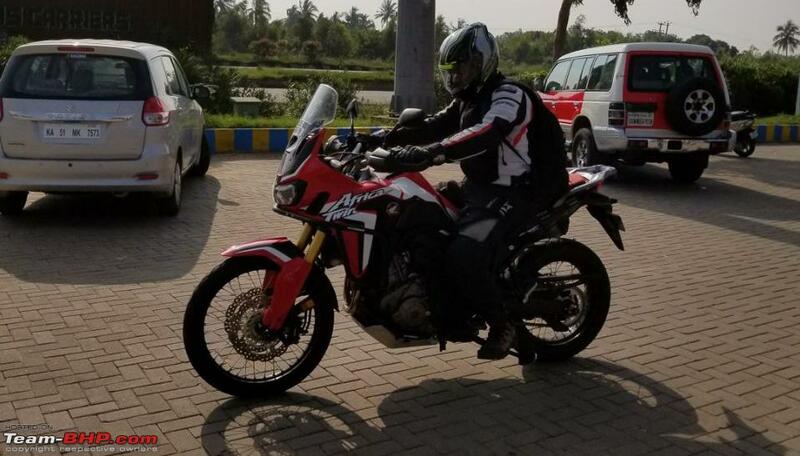 Sure the Africa Twin has a lot more torque, but both feels almost similarly powerful and all that added torque coupled with the relaxed gear ratios make the Africa Twin feel a lot more relaxed over the highways. 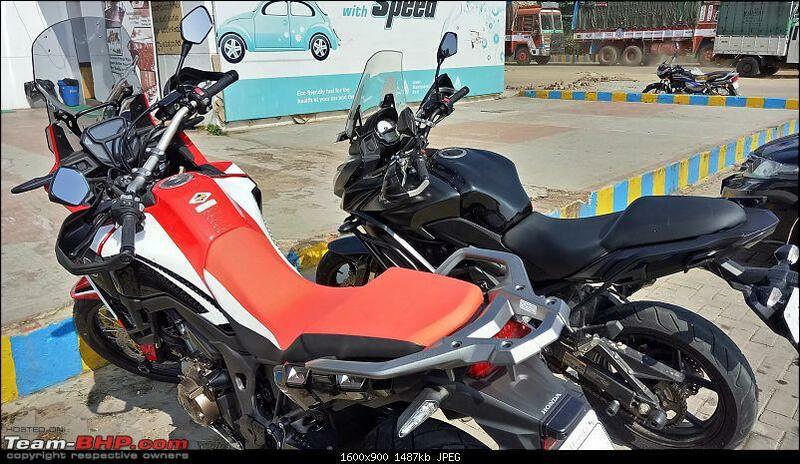 Good for interstate touring - but as you've seen me complain earlier with the Versys - the Honda will be even worse if you plan to ride 500kms and end up home feeling you did a short breakfast ride and nothing more. Also for those looking at touring only - the spoke wheels and tube type tires are always a risk factor that could cripple your ride at any point. Hence for me personally - I'd like something with a bit more character and fun in touring. I'd opt for the Tiger series (But not new at current prices) or even the Versys 1000 among similar bikes, or perhaps the Ninja 1000 instead. Not that the Africa Twin is not a capable machine, just that I'm not the right kind of east-weat/north-south rider for it. Last edited by CrAzY dRiVeR : 2nd November 2017 at 09:44. 1000% agree with this. Its more than enough bike in every single respect for our road touring needs. Changing over just means we got our original priorities wrong, or priorities changed. 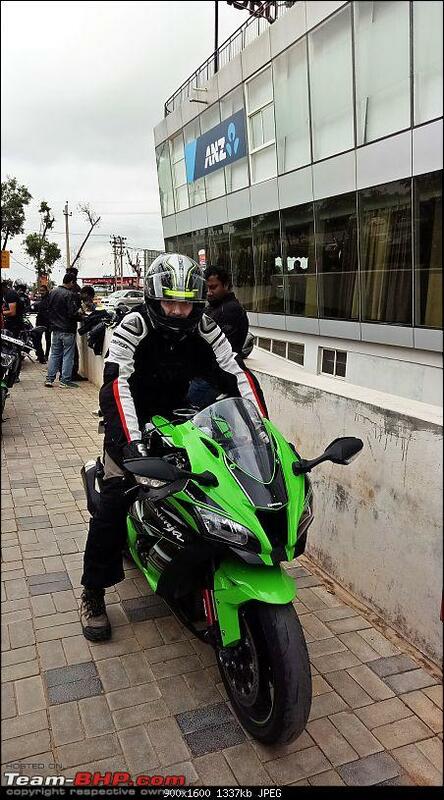 Awesome power, as anyone would tell who just had his first experience on a proper superbike. The only other litre class machines that I've ridden earlier were the Honda Africa Twin and the Kawasaki Versys 1000. That said, for a newbie rider, I couldn't really kill myself because Kawasaki guys have the TD in a batch of bikes with a Marshall in front riding at 100 - 120 at the maximum speeds. But tried the topend couple of times in the lower gears. 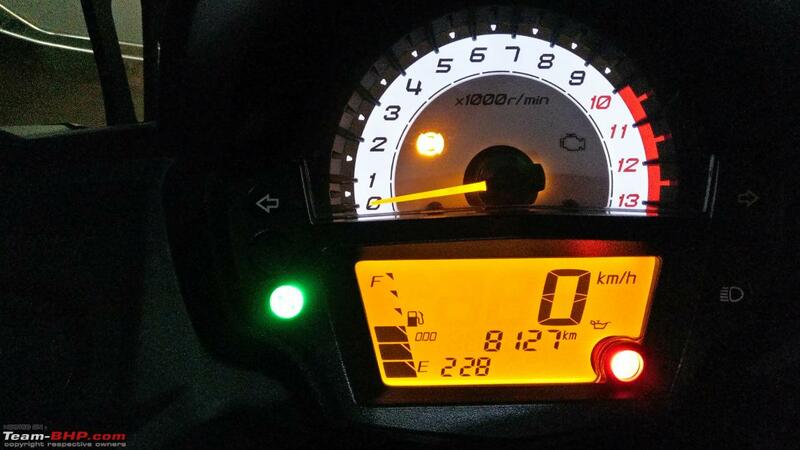 The bike seems to wake up towards the upper range and suddenly starts screaming with a rush. Literally felt like the scenery started to blur backwards and the gap I had given with the bikers in front so as to test out the acceleration - felt like the gap was not even enough for a couple of seconds of acceleration. 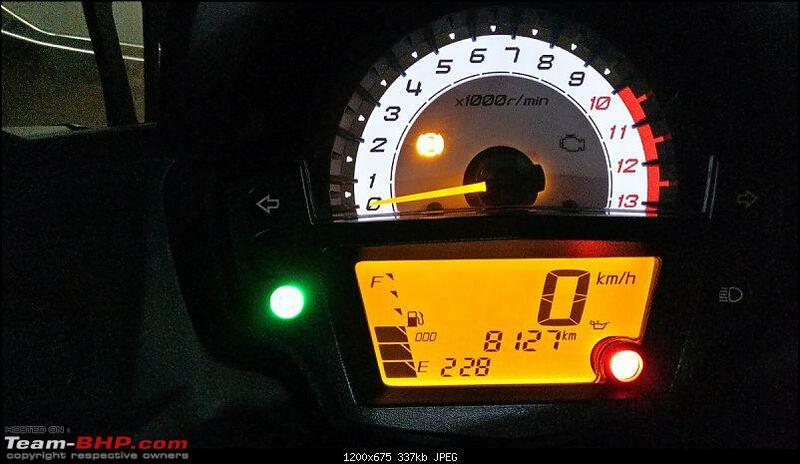 And this was in the mode with aggressive traction control keeping a sane throttle response. Handling was brilliant too and I could feel the front end moving nicely where the mind thinks, though I didn't really get to test it out in the corners. Taking U turns - was such a pain - because I'm not used this aggressive riding stance. But then, not my kind of bike. I didn't feel happy with it, despite the power and everything. That riding stance is just not me! 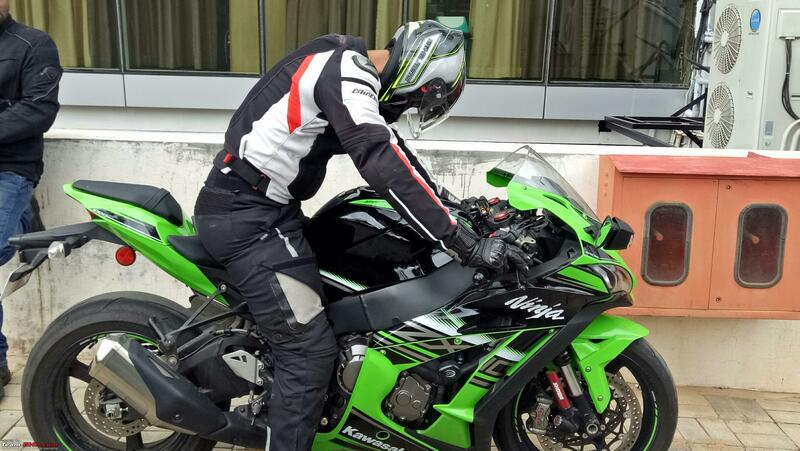 I guess I'm not yet ready for superbikes or supersports, and that could just be one of the best things to happen to me recently. 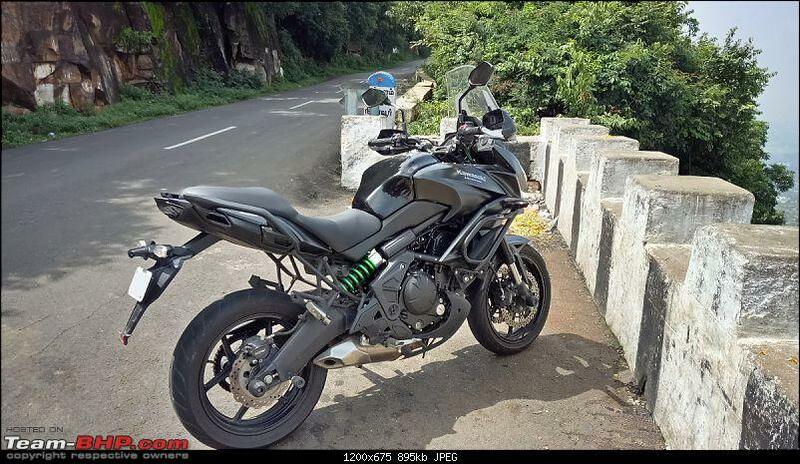 But then, I asked for the Z900 test ride (after riding the ZX10R), and boy o boy - I shouldn't have! Butter smooth motor, like its literally hot butter on knife. Smooth inline4 soundtrack that is made even better by the 'Two Brothers' end can on the test bike! Upright and comfortable riding stance with a slightly rear set footpegs, that could be a pain point during longer runs. Good enough power of 125ps and no electronics trying to mess around. And the power is delivered in a good creamy linear fashion, with the upper ranges pulling equally well and the motor remaining extremely smooth even close to the redline. 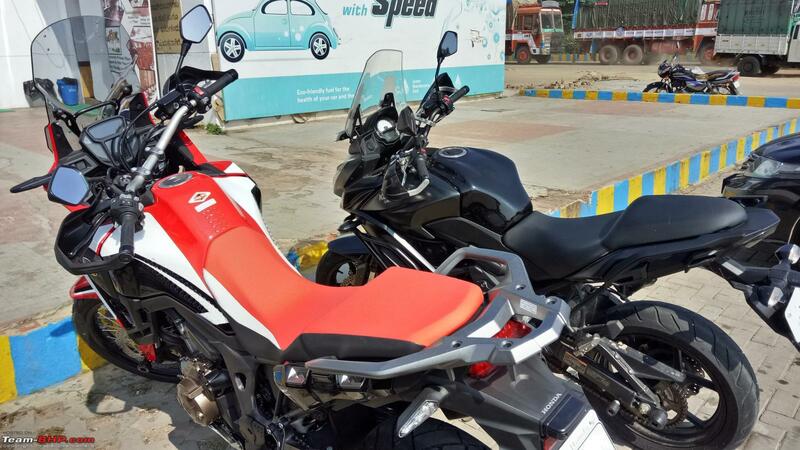 That front console will put even a TVS XL to shame, and the bike looks small in the new '900 avatar. But brilliant and easy machine to ride. Like a big FZ with inline4 engine. Nothing like the heavy monstrous old Z800, which used to feel like its ready to chew your head off! Was grinning ear to ear at the end of ride. Damn - I hate my love for inline4 machines. Welcome! You've been asking doubts about the Versys 650 - so it was only fair that I shared the news I received regarding the event. Hope all your doubts have been cleared and replaced with fresh ones! Lol! If you noticed the other couple who were chatting with us - he is also a Team-Bhp'ian, but not an active poster. 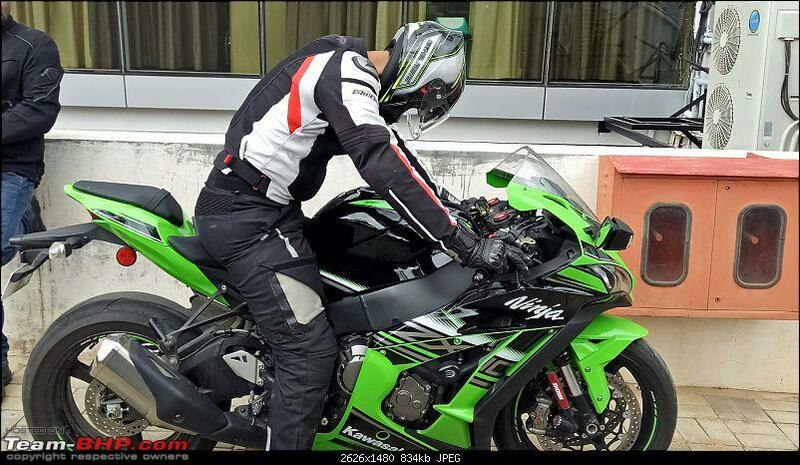 Recognised me with the pictures on this thread and was asking questions about the Versys, but he ended up clearly realising that the machine is not for him. 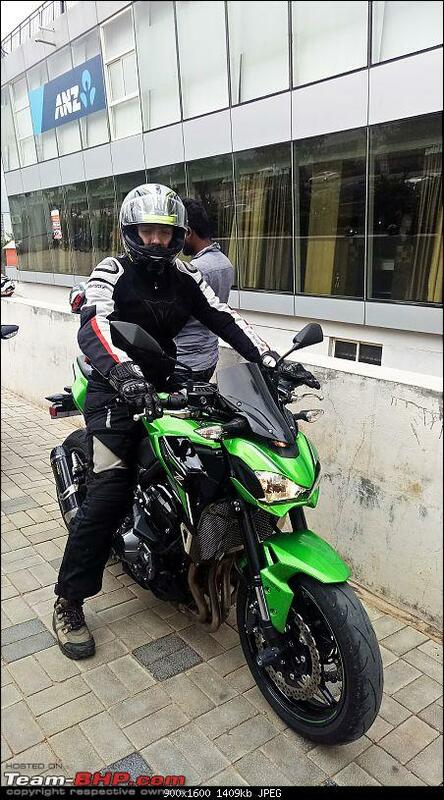 He had the biggest grin after the Z900 test ride though. 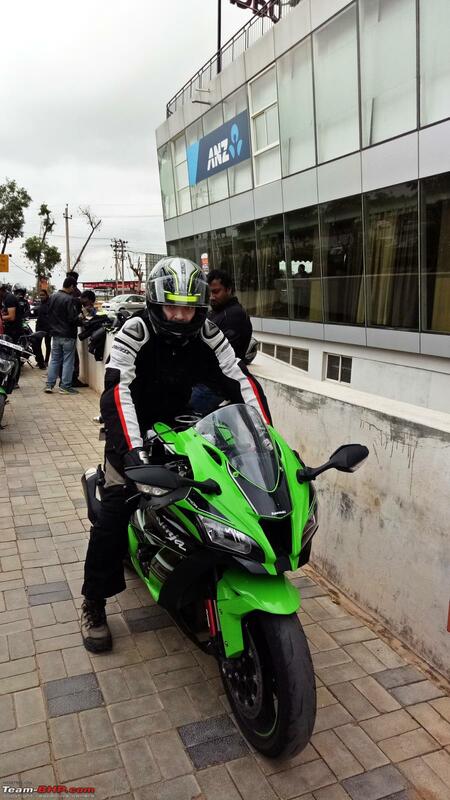 However, since pillion comfort is also essential for them - I've requested them to also check the Ninja 1000. My Versys 650 standing tall in the parking lot and watching the proceedings! Last edited by CrAzY dRiVeR : 5th November 2017 at 20:50. Yes. It is as small as it looks and the size and weight has surely dropped. 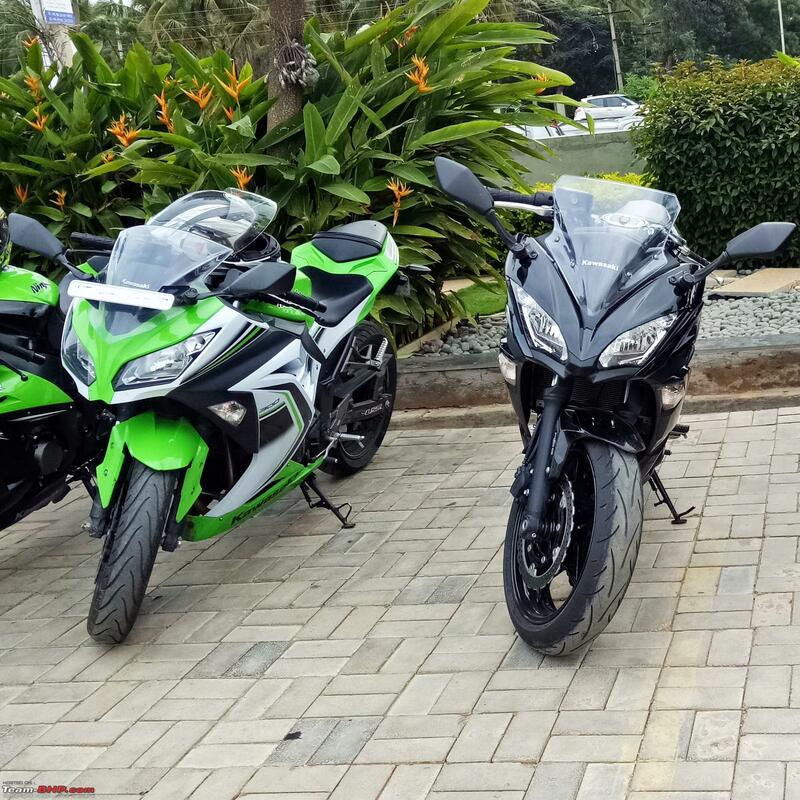 If you are looking at the Versys 650, but feel that the size (specially seat height) and weight of the Versys is beyond what you can manage - then you should surely have a look at the new Ninja 650. It is almost as manageable as the 300, but with a whole lot more bike in it. And at the current price of 5.49L, with the addition of ABS as well - its a steal compared to the 300. It would surely loose out on the versatility of the Versys when it comes to bad roads, but surely has some advantages too. 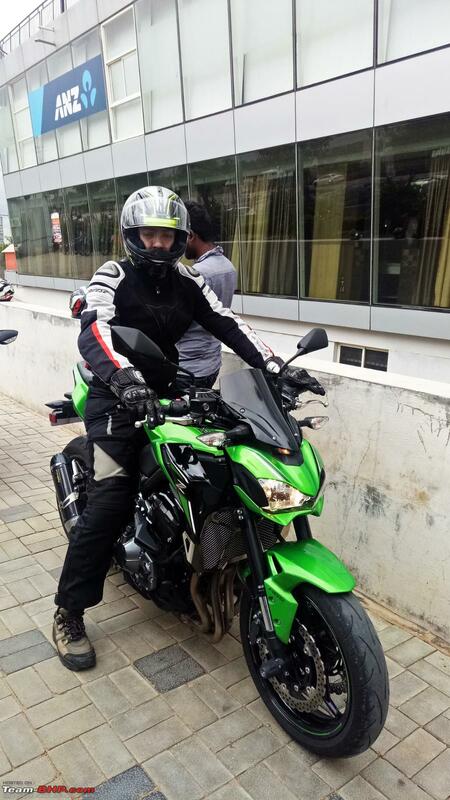 If budget and physical build (of the person, though it can be overcome with rider confidence) allows - I would still prefer the Versys 650 as a better choice for Indian conditions. 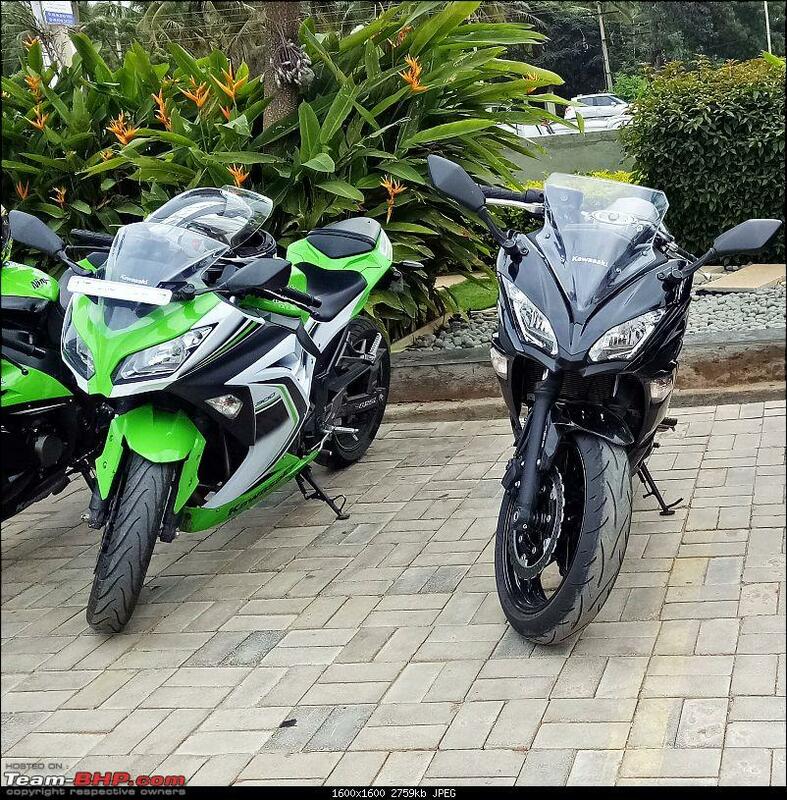 The new Ninja 650 is a lot improved version from the previous one but, I personally do not like the overall design theme as Kawasaki is overdoing copying the Zx10R theme and pasting it across it's entry level models. 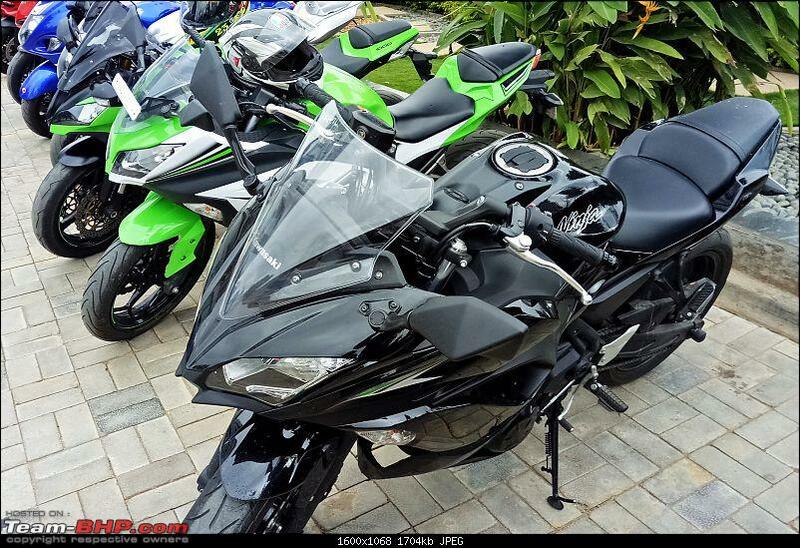 Design theme looked great on the Ninja 300 but, why copy the same for Ninja 650. Did their design thinking minds went numb at the drawing board? 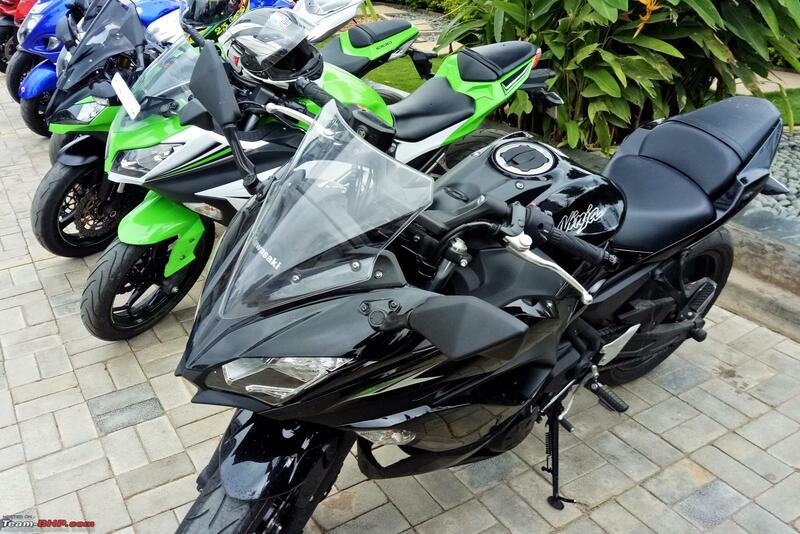 Any ideas if Ninja 650 is selling as much as before? 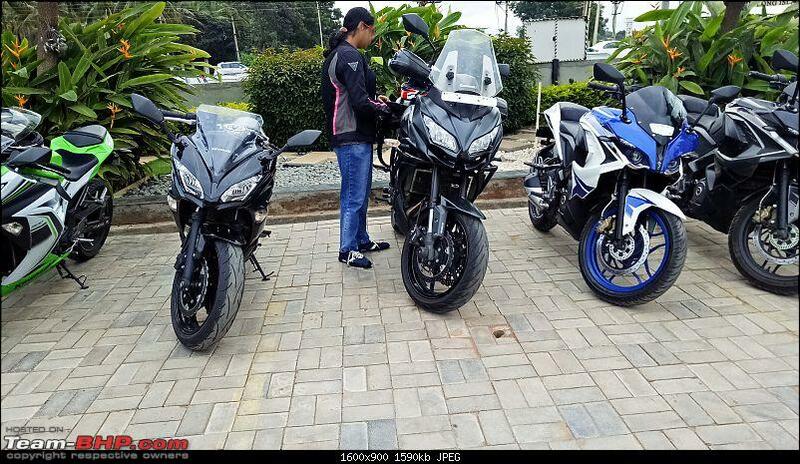 Quite agree, the Z650 is lost in the crowd and quite a cat among the other green pigeons. However, having test ridden the Z650 and V650 back to back, the Z felt quite handy. I liked the super comfortable V650, hands down but the Z650 was probably a little less of a handful (for obvious reasons) and provided a little more fun to rid (not that the V650 wasnt).